GeForce Experience: What Does It Do, And Should You Use It? 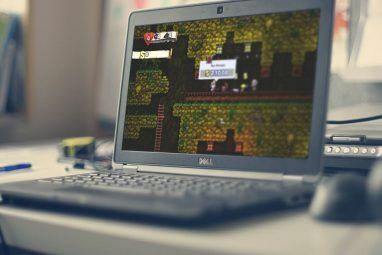 PC gaming is easier than ever, but tweaking your graphics settings, updating your drivers, and recording gameplay can be complicated. NVIDIA’s GeForce Experience software offers an easy interface full of useful settings for experienced PC gamers and console gaming refugees alike. Graphics hardware manufacturers have traditionally offered control panels for tweaking graphics driver settings. 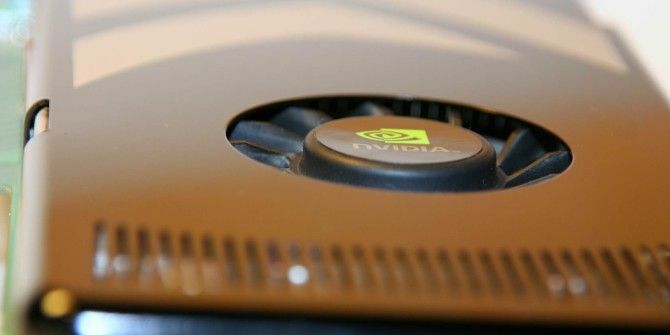 GeForce Experience isn’t the only graphics driver-related tool NVIDIA offers. They also offer the NVIDIA Control Panel, which is the “classic” interface for tweaking your graphics settings. If you have NVIDIA hardware in your PC and the NVIDIA graphics drivers are installed, you can right-click your desktop background and select NVIDIA Control Panel to open it. This tool allows you to adjust the default image settings your computer uses — for example, you can choose higher-quality images on fast hardware or lower-quality images to speed things up on slower hardware. You can tweak global and per-program graphics hardware settings — for example, you could force-enable antialiasing Five Important PC Gaming Terms Explained Five Important PC Gaming Terms Explained If you play a game on a console, the technical details are handled for you. Some players prefer this, but PC gamers often enjoy the greater degree of control they have over a game’s eye... Read More on a specific old game that doesn’t support it to reduce jagged edges and make the game look better. The NVIDIA Control Panel also regularly checks for graphics driver updates. The NVIDIA Control Panel is powerful and many gamers will visit it to tweak the occasional setting. But it’s all a bit overwhelming if you’re not a geek who likes customizing this stuff. What if you just want the most important stuff in an easy interface? That’s what the GeForce Experience is for Nvidia Fans, Listen Up! Improve Your Gaming With The GeForce Experience Nvidia Fans, Listen Up! Improve Your Gaming With The GeForce Experience Read More . Make no mistake, this is a powerful tool with many features not found in the NVIDIA Control Panel. Powerful new NVIDIA features like ShadowPlay and game-streaming to NVIDIA Shield handheld devices are found here, not in the older Control Panel. The NVIDIA GeForce Experience software doesn’t know of every PC game out there, but it knows many of the most popular and recent ones. You can select an installed game in the list of games here and click Optimize to automatically optimize the game in a single click. Rather than tweak the settings yourself or use the defaults, the GeForce Experience software will choose intelligently optimized settings. These settings are provided by NVIDIA themselves. GeForce Expereince gets the best, most optimal settings for your computer’s graphics hardware (GPU), CPU, RAM, and monitor from NVIDIA’s data center. You can also click the wrench button and tweak the settings by hand. The screenshot in the games panel changes as you change settings, allowing you to see the differences in quality before launching the game. If you want the best PC gaming performance, you need to keep your graphics drivers updated. New graphics drivers often bring noticeable improvements in performance in many games — particularly in new games. It’s not uncommon to see graphics driver change logs with 20% improvements to particular new games on certain hardware. The GeForce Experience software automatically checks for driver updates and allows you to choose whether to install them. It also regularly downloads new game profiles — collections of settings that control what your graphics driver does when it loads specific games. Graphics hardware manufacturers like NVIDIA use such profiles to tweak and help achieve optimal performance. Graphics driver updates are easy to install, too. On modern versions of Windows — Windows 7, 8, and even Vista — you can install a graphics driver and start using the new version immediately without restarting your computer. You’ll just see the screen flicker off and back on as the graphics driver is replaced. The My Rig tab displays your system specifications. It’s an easy way to see what GPU, CPU, memory, and resolution your system is using without digging into the Windows Control Panel or system information utilities like Speccy Speccy - An Advanced System Information Tool For Your PC Speccy - An Advanced System Information Tool For Your PC Read More . If someone wants to know what hardware you have or if you just need to know to see if your computer meets a games’ requirements, this is an easy place to get that information. This tab also displays other available features and tells you whether your system meets the minimum specifications. For example, game streaming from your PC to NVIDIA Shield, ShadowPlay for video capture of games, and LED Visualizer for controlling LED settings on high-end cards with integrated lights are available here. Game streaming and ShadowPlay currently require desktop NVIDIA graphics hardware. The NVIDIA graphics hardware in laptops — even powerful, high-end behemoth gaming laptops — won’t work with these features at the moment. GeForce Experience includes support for streaming games running on your PC to other devices. Currently, this feature only allows you to stream games to the NVIDIA Shield handheld console NVIDIA Shield Review And Giveaway NVIDIA Shield Review And Giveaway Recently, we reviewed the Wikipad, which managed to make its way to market before NVIDIA's highly anticipated Shield. Ever since NVIDIA showcased the Shield at CES, I've found myself more and more fascinated by it. After... Read More . In the future, we might see it expand to support other clients as services like Steam include their own PC game-streaming features. This option allows you to play PC games via a handheld console or connect your Shield to a TV and stream from your gaming PC to your television. You can also do this by connecting to a TV via an HDMI cable Why You Should Never Spend More Than $10 On An HDMI Cable Why You Should Never Spend More Than $10 On An HDMI Cable To get the best out of your HD equipment, be it a nice widescreen television, a Blu-ray player, a PS3, or an HD streaming set-top box, you need at least one HDMI cable. Or more... Read More , of course. Game streaming isn’t a software-only feature. It uses the NVENC encoder, which takes advantage of the NVIDIA graphics hardware to quickly compress a game’s video before sending it over the network. ShadowPlay is a video-recording feature 4 More Video Card Features Every Gamer Should Know About 4 More Video Card Features Every Gamer Should Know About There are four brand new features that you should keep an eye on. Read More that allows you to record or stream your gameplay. In “Shadow Mode,” ShadowPlay captures the last 20 minutes of your gameplay — it’s always recording, but it discards video older than 20 minutes. If something exciting happens, hit Alt+F10 and a video of your last 20 minutes of gameplay will be saved to disc as a high-quality H.264 file. You can edit the file or just upload it to YouTube. You can also enable manual mode for full control. Hit Alt+F9 to toggle recording on or off — you can create your own recordings or stream directly to Twitch.tv How to Live Stream Your Gaming Sessions How to Live Stream Your Gaming Sessions As we enter our month of gaming giveaways, it seems only appropriate that we look at the delicate art of live streaming PC and console games. Although it's difficult to understand why anyone would want... Read More . This feature is related to game streaming — it uses the same NVENC video encoder for hardware-accelerated video recording and compression. Because it takes advantage of the graphics hardware, you can get some very high-quality videos from it. It’s also easier to use than other game-recording solutions 3 Game Capture Software Solutions Tested 3 Game Capture Software Solutions Tested Gaming is awesome: but sharing that with the world is even better. To do that, you'll need some way of recording your antics. In today's video, I'll show the best way to record from a... Read More like Open Broadcaster Software (OBS) How To Live Stream Your Gaming Sessions Using Open Broadcaster Software How To Live Stream Your Gaming Sessions Using Open Broadcaster Software Live streams have become all the rage these days in the world of gaming, and with Open Broadcaster Software you can join in with your own streaming sessions for the world to watch. Read More . Twitch personalities 10 Tips for Building an Audience for Your Live Streaming Channel 10 Tips for Building an Audience for Your Live Streaming Channel Are you starting a Twitch channel and wondering how to create an exciting stream? These tips will help you draw loyal, regular viewers and expand your audience. Read More may prefer more tweakable tools for other reasons, but ShadowPlay is an easy way for normal people with NVIDIA graphics hardware to start recording and streaming games. The GeForce Experience tool is basically a frontend to NVIDIA’s latest graphics features, one designed to help both experienced and new PC gamers optimize, stream, and record their gameplay. If you have NVIDIA graphics hardware in your PC, you should have this tool installed. 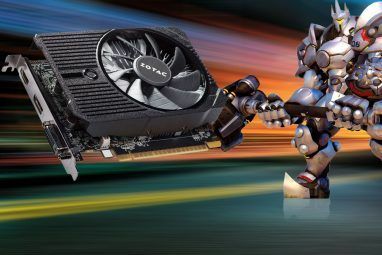 Explore more about: Graphics Card, Video Card. Do you use this. You can easily enough update your drivers from the website. It rearranges all the icons on my desktop into 2x2 boxes of icons in a random order. It's really obnoxious to the point of removing it from my PC, which was not easy. There were separate parts that refused to be removed from the add/remove programs list and I had to manually search out the folders and delete them. 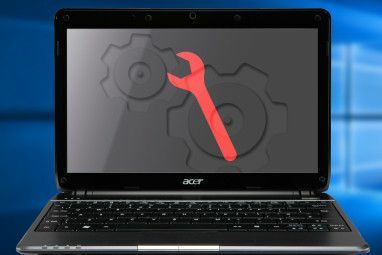 This thing is a drain on your computers resources for no reason other than the frustration of having a slow computer and rearranging your desktop icons every few weeks because there's a new driver update. what ressources drain ? I have looked the task manager and I never saw a ressource drain using GE. Tip: Remember your nVidia login because Geforce Experience will log you out constantly and you'll be unable to update your drivers until you provide some sort of log in.